Ukraine must carry out inspections of its dairy plants as a step towards Russia lifting its ban on dairy imports from the country, Moscow's food safety watchdog has told just-food. 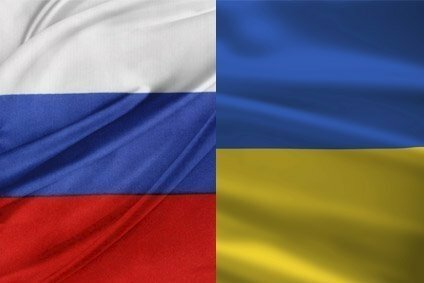 Rosselkhoznadzor, Russia's federal veterinary and phytosanitary body, imposed a ban on imports of dairy products from Ukraine last week. Officials from Rosselkhoznadzor said "residues of prohibited and hazardous substances" had been "repeatedly detected in milk and milk products imported into Russia from Ukraine". A spokesperson from Rosselkhoznadzor said today (5 August) Ukraine must examine its dairy plants in order to get the ban lifted. "The veterinary service of Ukraine should inspect companies that want to supply their products to Russia. The basic criterion is the compliance with all veterinary and sanitary requirements of the Customs Union. Only after these steps [will] the Rosselhoznadzor be ready to consider lifting of the restrictions." Russia is a member of the Eurasian Customs Union along with Belarus and Kazakhstan. Moscow had claimed residues of "tetracyclines, salts of heavy metal, microorganisms, including pathogenic ones" were found in dairy products from Ukraine. The spokesperson dismissed suggestions the ban was linked to the political crisis engulfing eastern Ukraine, where pro-Russia rebels are locked in fighting with government forces. "The Rosselhoznadzor is not involved in politics. Our task [is] ensuring the safety of imported products," the spokesperson insisted. The ban is one of a number handed out by Russia in recent weeks. Moscow announced a block on canned vegetables, fruit and fish from Ukraine last week. Russia also placed a curb on fruit and vegetable imports from Poland, claiming the products breached its standards. The ban on Polish products came days after the EU imposed fresh sanctions on Russia in the wake of the downing of Malaysian Airlines flight MH17 in eastern Ukraine. The plane is alleged to have been shot down by pro-Russia rebels, who the West claims have been supported by Moscow. On the money: Where will acquisitive Saputo find its next M&A target?